So what makes a book valuable? This question is probably one of the most common asked by people who walk into my store. And it is a difficult question with an answer that is many facited. Let’s look at an example which came into the shop a day or so ago. 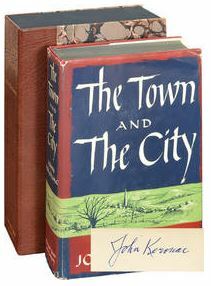 A client brought in a copy of Jack Kerouac’s first novel, ‘The Town and the City’ published in 1950. The book was published in February on 1950 by Harcourt Brace after months of editing. Kerouac had actually begun writing the novel in 1945. The first printing was a mere 15,000 copies, of which only 10,500 were actually bound, the remaining pages were warehoused. The novel sold poorly and made less than Kerouac’s advance on the book. Published under the name ‘John Kerouac’ the book did not have the Beat style Kerouac became known for, instead it read like a Thomas Wolfe novel, which Kerouac favored at the time. The copy of the book which was presented to me was also signed by Kerouac. It had a cover which was in very nice shape. The book is a first edition in very good condition with an unclipped jacket. The book was Jack Kerouac’s first novel. Kerouac id the king of the beats and is highly collectible. The book is NOT a beat writing. The book has some minor flaws including rubbing to edges, mild bumped edges and some chipping as well as a store price stamp on the rear end paper. The seller has no signed documentation on the signature, just the story from his Mother who is passed. This book would fetch in the high values about $5,000 if the signature can be authenticated. Had the seller had a signed letter to show provenance from his Mother this might add additional value based on her story. Now had this been a signed copy of ‘On the Road’ can go as high as $35,000. This is one example of the factors that go into answering what determines value on a book. We will look at this topic again soon and if you have questions feel free to contact the shop. We do appraisals for a modest fee and are always happy to help. 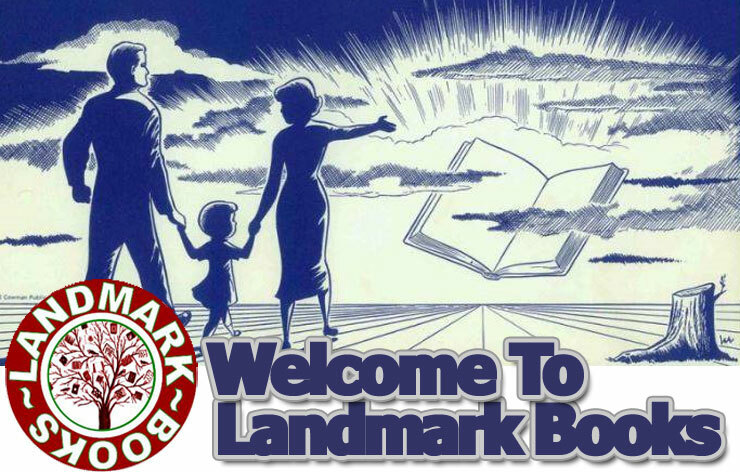 Tagged with → First Edition • Jack Kerouac • John Lerouac • Landmark Books Used Books • The Town and the City • Traverse City Used Bookstore • What Makes A Book Valuable?